What is the “official” definition of quality? Let’s start by looking at it from an official perspective. What could be more helpful here than international standards? 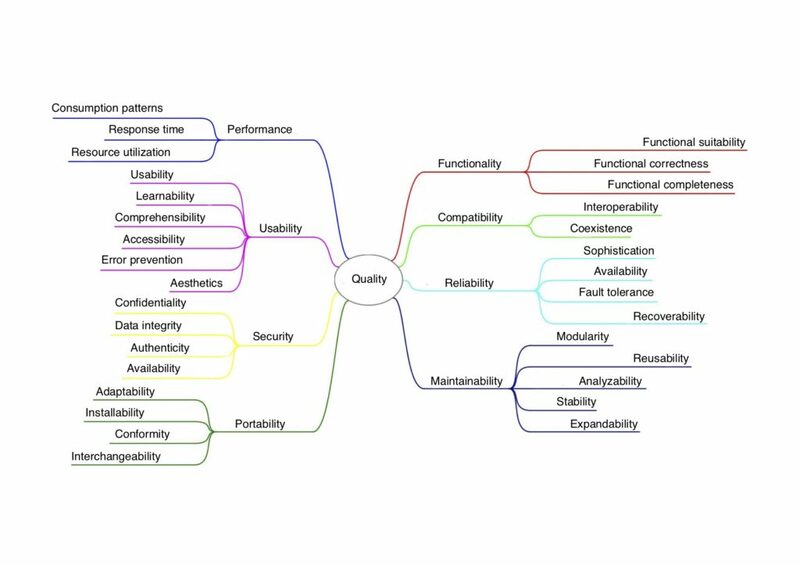 Software quality can be defined as the totality of features and characteristics of a software product that bear on its ability to satisfy stated and implied needs. The degree to which a set of inherent characteristics of an object fulfills requirements. Non-functional requirements go beyond functional requirements and specify how well a system/product should perform a function or service. (Example: The system should display the purchase overview within three seconds.) 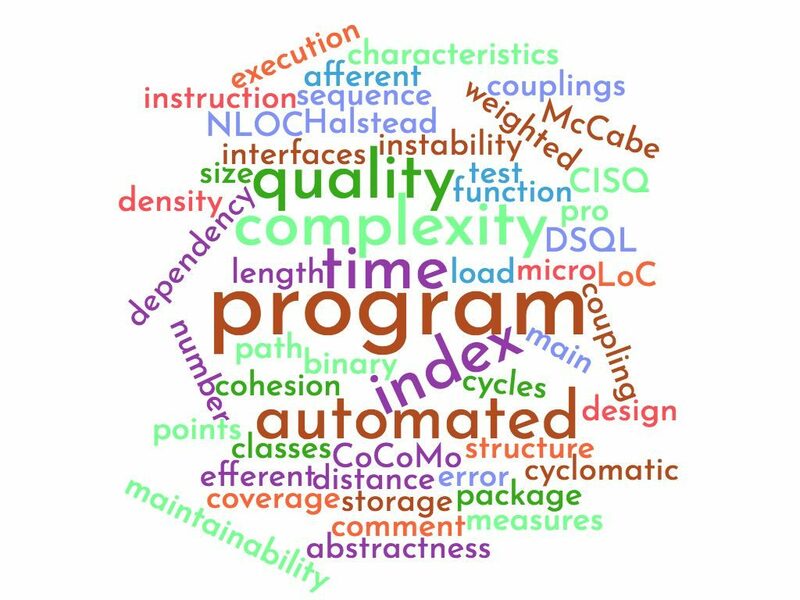 Non-functional requirements are also known as boundary conditions or quality attributes. Prevention costs: quality-enhancement measures, controls, planning, audits, etc. Failure costs: loss of customers, reputation, contractual penalties, deviations. Weighing up the costs and benefits means that we have to accept a certain degree of failure because of economic restraints. (It is well-known that this rule of thumb is sometimes taken too far in software development, as described in the perpetual beta or banana principle. The failure costs are then correspondingly high.) Highly critical systems are the exception; in the medical field or air traffic control, for example, where easily avoidable mistakes are unacceptable. Security vs. performance: Using a more expensive encryption algorithm would increase security but also increase the services’ response time. Usability vs. security: Entering a 30-digit password would increase security but compromise user experience. Teams can use quality scenarios to specify requirements. These also serve as a basis for specific types of tests. Example: Under normal conditions, users initiate 20,000 transactions, which are processed with an average latency of 1.5 seconds. 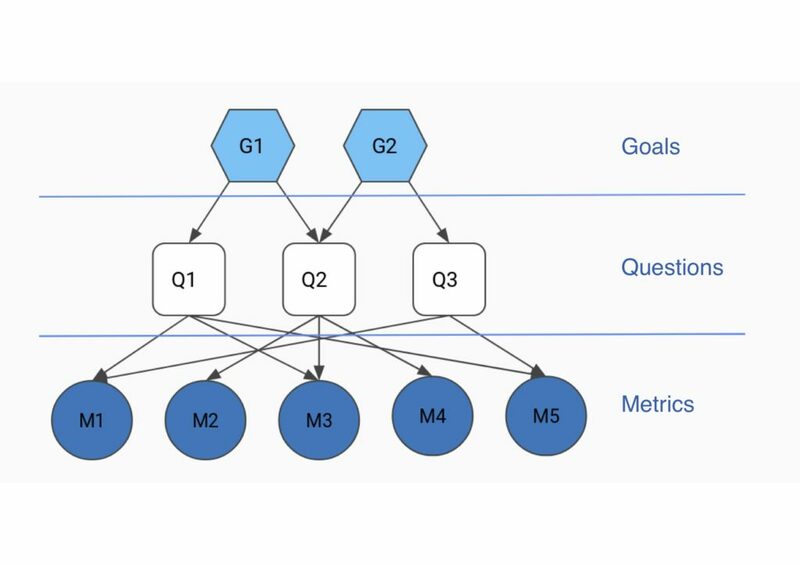 The Goal Question Metric is a systematic approach to creating specific quality models in a tree structure. The parts of the tree represent the goals, questions, and metrics. Root: The Goal -> What should the measurement achieve? Nodes: Questions -> What should be measured? / Which questions should the measurement answer? Leaves: Metrics -> Which metrics can describe the necessary characteristics? And that is by no means all of them. Are you planning a specific software project? Or are there certain processes in your company that are particularly challenging? Is a system or interface holding your employees back or making things difficult for your customers? Then ask us for help! We look forward to working with you to develop a custom solution to suit your requirements – our work is of the highest quality, and you have complete control over the costs.